This show was always destined for greatness after inventor Derek Smith referred to it as “an open-air action crossword”, and this first series, stripped every night this week while Nationwide was on its summer break, became a national talking point. Two teams from Oxford and Cambridge – though not from the universities, just from the cities – were dumped in the middle of nowhere and invited to solve a series of pointless tasks (starting a fire with no matches, retrieving a car with no petrol in it) in the aim of rescuing “The BEAST”. 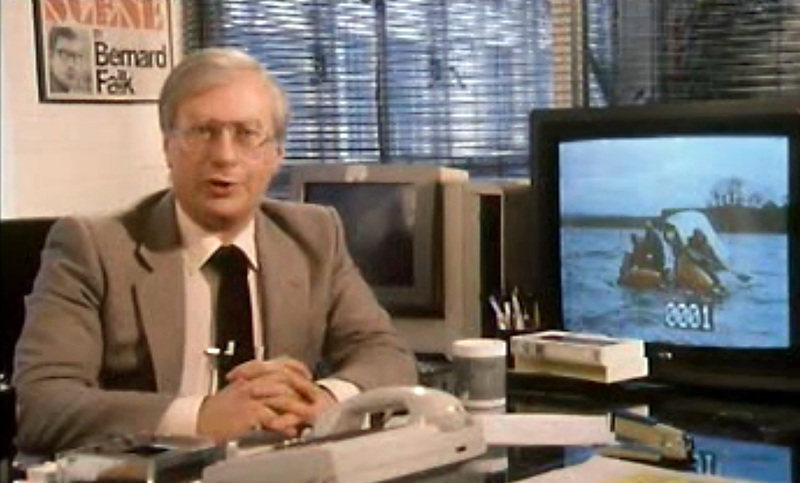 This is the kind of thing that these days fills myriad management away-days, but Smith made two masterstrokes – first by staffing the teams with just the right mix of personalities to ensure constant arguments, and secondly by hiring professional smartarse Bernard Falk as narrator, who would jeer at their hopeless efforts from the comfort of the studio. All hugely entertaining, and an influence on dozens of game shows ever since, it was a big hit at the time and we remember enjoying it again a decade later when they repeated it during the day. Surely the ultimate case of “acronym first, meaning later”, this title apparently stood for Football Association Coaching: Tactics, Skills. Of course it did. In any case this memorable series of programmes was first shown during the mornings of the Christmas holidays in 1980 before being repeated here in BBC2’s early evening brantub. The programmes were indeed produced by the Football Association and starred numerous big name players and coaches, all rather pleasingly billed in the Radio Times in formal military-style fashion. Hence, tonight D HOWE, B ROBSON and T VENABLES demonstrate the art of shooting via the skills of K KEEGAN, R WILKINS, L BLISSETT and V HILAIRE. The FA Coaching Book of Soccer Tactics and Skills, £8.50, from bookshops. And to counter those two programmes, something rather more glamorous. We’re not entirely sure about the connections of the numerous beauty contests of the seventies and eighties, and we need some kind of football-style pyramid to work it all out, but we think that Miss UK was the qualifier for Miss World, with the Morleys calling the shots, while Miss Great Britain – organised by the resort of Morecambe and used as a promotional tool for the town by, er, not actually being staged there – led to Miss Universe (although the winner always disappointingly came from Earth). Anyway, Miss GB used to be on ITV and Miss UK on the Beeb, but then in 1980 they swapped around, so it was now Thames’ responsibility to select the ambassador, or should that be ambassadress (no, it shouldn’t), for Blighty. The droll Peter Marshall was master of ceremonies for its whole life on Thames, joined this year by Judith Chalmers, while Thames staples Stutz Bear Cats provided by the cabaret. And don’t forget, as Brucie always pointed out, it wasn’t sexist because they did Mr World as well, despite the fact nobody has ever seen that. Past winners of Mr World include Mr Pastry, Mr T. and MistaJam. I’ll never get over how old Bernard Falk looked for his age. How old would you say he was in the above photo? Early 50’s maybe? He’s 38! He was only 47 when he died, though having to host Sin on Saturday couldn’t have ben good for the health. Bernard had very serious heart problems, which probably contributed to his premature ageing. He really was entertaining on NGOOT, a perfect host for snarking at pointless games. Hugh Scully was another presenter who seemed to always look older than his actual age. I remember being surprised when I read his obituary, especially as he was younger then Gordon Honeycomb who died around the same time. Mr. World I only know because the winner one year was a fella from Limerick, Kamal Ibrahim who now does the Lotto scores. Bernard Falk in this photo looks like someone who would be in Mrs Thatchers cabinet and delivering a PPB about income tax, as his mature for his age look made him seem statesmanlike. As regards FACTS, how about a tactic you’d probably need to learn when exiting the ground when Millwall were visiting, notably how to outrun their psycho fans.